Thanks! I’m so excited to try another Neal Shusterman book, now that I’ve read Scythe and Thunderhead. Challenger Deep, great book by Shusterman. National Book Award winner. So many books!! I’m not sure how I’ll ever read everything:-) I completely forgot about Sisters of the Winter Wood and Elevation, they look amazing! Oh, me too — and I’m always so impressed when an author manages to translate Austen into a contemporary setting and makes it actually make sense! Now that you mention it, I’m not sure that I’ve read more of Talley’s work beyond her debut. I know I picked up at least one… but it’s possible that I’ve only read her first book! Still, I like the sound of Pulp, so I’m eager to give it a try. I’m just hoping I remember enough from the previous books to be able to enjoy it! I just added Sister of the Winter Wood to my TBR and can’t believe more people aren’t talking about it because it sounds wonderful. I don’t think it’s humanly possible to catch up with Stephen King! 🙂 But I’ll keep trying. Haha, I think you’re right! But, like you I’m going to keep on trying! I love these choices, Lisa! I am interested in your thoughts on all of them! Especially the Leviathan and The Sisters of Winter Wood. Thanks so much! I’m excited for all, so I just need to make sure I stick with them all once I finally have them in my hands. Great list – There are so many books here I want to read 🙂 I’m definitely going to check out the Stephen King, M. R. Carey and Deborah Harkness books. 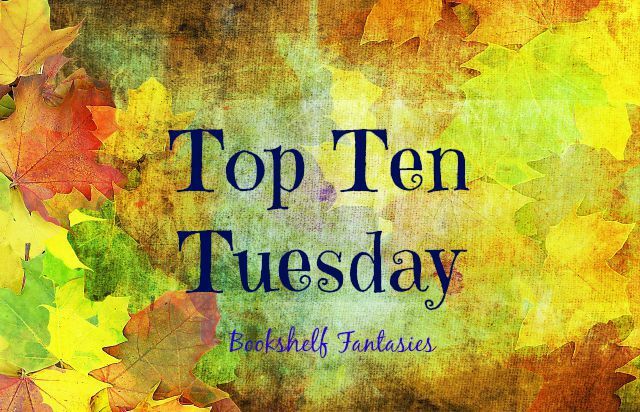 Many of these are on my TBR too! Really looking forward to the Carey and the new Shusterman. You’re giving me some great reading ideas – but what to do when my list is already so long? I love seeing all these covers next to each other. Makes me want to hide in a room all weekend and read! Me too! (and maybe I will…) Three of these arrived in my house over the past two days — one I ordered, one from the library, and one ARC. I don’t know where to even start!